It is no longer news that oil prices have been crashing in the last couple of months towards the end of 2015. In fact, in the last one year, the West Texas Intermediate is down 15.6% and the Brent Crude is down a massive 28.8%. The crash in oil prices is good news for most folks and news headlines coming out of the energy market is likely to gladden the heart of businesses that have oil as a major expense. Airlines, utility companies, refineries, and manufacturing plants would have surely recorded a marked drop in their expenses as oil prices continue to stay depressed. Individuals have also benefited from the drop in global oil prices because the weakness in crude oil has slashed gas prices towards record lows. Airline prices are being slashed and shipping costs have also been reduced. At the start of this year, it seemed that oil prices would improve after oil enjoyed a series of false starts that raised the hopes of a rally in global energy prices. For instance, the West Texas Intermediate crude is up 2.07% in the year-to-date period and the Brent Crude is up 6.58% since the markets opened for trading this year. Investors and traders who know how to trade crude oil understand that the key factor that affects the trading price of crude oil is the dynamics of demand and supply. It doesn’t matter that you are interested in the WTI or the Brent Crude oil, the back and forth between the forces of demand and supply often determines the trading price of crude oil on the global market. One might argue that other factors apart from the dynamics of demand and supply can affect oil prices –and you’ll be mostly right. Geopolitical concerns might affect the price of crude oil, acts of terrorism, natural disasters, and economic policies might also affect the price of crude oil. However, the underlying truth is that the aforementioned factors might lead to an increase/decrease in the demand or supply of crude oil. When the demand for crude oil exceeds its supply, the price will rise and when the supply of crude oil exceeds its demand, the price will fall. Any hopes that crude oil will see a rally any time soon has been dashed again as Iran moves to sabotage a potential deal to cut global oil supply. On Monday, Iran indicated that it won’t cooperate with plans by oil producing countries to find a way to slash the supply of oil in order to jumpstart an increase in the price of crude oil. Saudi Arabia and Russia have been spearheading a move by OPEC and non-OPEC countries to find a way to reduce their oil production output in order to end the supply glut that has been exerting downward pressure on oil. However, Iran’s oil minister, Bijan Zanganeh noted revealed that Iran won’t consider reducing its oil production output until its current oil production levels rises to 4 million barrels per day. Iran currently produces about 3.3 million barrels of oil per day and the country plans to increase production by 500,000 barrels per day this year. Iran was producing about 4 million barrels per day before the United Nations imposed sanctions on the country in 2012 because of its nuclear program. Analysts have also noted that Iran faces an uphill task in its target to increase oil production by 500,000 bpd in 2016. Tamas Varga, oil analyst at London brokerage PVM Oil Associates says, “Oil is down because Iran said they would only join the output freeze group once they reached production of 4 million barrels a day (bpd)”. 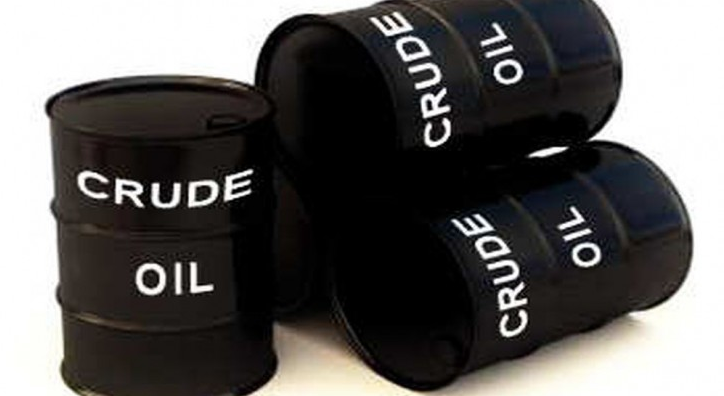 Trading crude oil futures is a smart way for traders and investors to profit from the global energy market irrespective of whether oil trades upward, downwards or sideways. The fact that Iran is practically throwing its foot down against any deal to cut crude oil supply indicates that oil prices might not be heading up any time soon. It is a well-known fact on Wall Street that oil CFDs are very volatile but Iran’s current actions makes it somewhat easy to predict where oil prices are headed.